Shiloh Baptist Church and Cemetery, known as a settling community for African Americans escaping segregation in Oklahoma are now Saskatchewan’s 53rd Provincial Heritage Property. The site located 30 kilometres northwest of Maidstone is the only known building that remains from the first and only African American farming community established in the province. Families built structures such as the church using logs from poplar trees that were cut from the nearby North Saskatchewan River. Completed in 1912 provided, the church provided a place of worship and communal space for the settlers. The cemetery has at least 37 graves of the original settlers and their families. 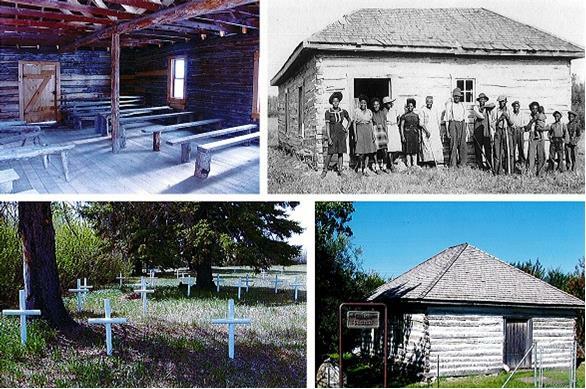 Originally marked by large stones at the head and foot of each grave, it is the only known place in Saskatchewan that illustrates the African American burial custom of the late 19th century.